Two-thirds of real estate markets globally have shown progress in levels of transparency over the past two years, according to JLL and LaSalle Investment Management’s Global Real Estate Transparency Index (GRETI) 2016. Out of 109 countries, the top-10 that are identified as ‘Highly Transparent’ alone account for 75% of global investment into commercial real estate, highlighting the extent to which transparency drives real estate investment decisions. The top-10 countries are followed by 20 ‘Transparent’, 37 ‘Semi-Transparent’, 21 ‘Low Transparency’ and 21 ‘Opaque’ countries. While India has a long way to get into the ultimate tier of ‘Highly Transparent’ markets, its tier-1 cities look poised to break into the ‘Transparent’ set of countries from their current status of being ‘Semi-Transparent’ markets. This bodes well for the economy and investment scenario. India made improvements in overall transparency scores across all markets and tier-1 cities moved up to the 36th spot from being 40th in the previous rankings (see comparison below). Tier-2 cities too made good progress and moved from 42nd in 2014 to the 39th spot in 2016. Interestingly, Indian tier-2 cites rank higher than China’s tier-1.5 and tier-2 cities. India moved up by four ranks thanks, in large part, to the Modi government’s aim to stimulate growth and reduce red tape. 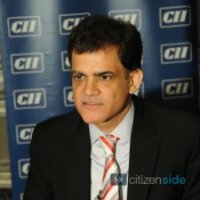 Improved market fundamentals, policy reforms like Land Acquisition Act, liberalisation of foreign direct investment (FDI) into the realty sector, and strengthening of information in public domain along with digitisation of land records and opening up of real estate investment trusts (REITs) were main influencers. India’s relatively-low score in transaction process, e.g. high costs of investment transactions, and weak professional standards for local agents, will improve during the 2016-18 assessment period of JLL’s next Transparency Index release on account of enactment of the Real Estate (Regulation and Development) Act and setting up of a real estate regulator in 2017. Important developments such as fair compensation to land owners, protection of home buyers and removal of procedural bottlenecks in REITs have been instrumental in improving transparency levels and augur well for the future. Newer developments on REITs where roadblocks have been removed, and implementation of the regulatory bill, which will provide an equitable and alternate dispute resolution mechanism while also regulating the agents, will further improve transparency in India. At a time when capital allocations to real estate are growing globally and investors are expecting transparency standards in real estate to be at par with other asset classes, any further improvement will help divert more investment into the country’s real estate. Capital allocations in excess of US$1 trillion will be targeting CRE within the next decade, compared to US$700 billion now. This growth means investors will continue to demand further improvements in real estate transparency. There is a growing recognition that transparent real estate practices play a significant role in capital formation, municipal finance, and as a foundation to improve the quality of life in many communities. The mounting pressure of the world’s growing middle classes for removal of corruption will fasten the pace of change, especially amongst the ‘Semi-Transparent’ countries, and social media will help people mobilise around this issue. There will be greater emphasis on regulatory reform, but also on enforcement, particularly in semi-transparent markets where the greatest disconnect currently exists. The Index which measures 139 parameters to arrive at a composite score for relative transparency levels covers 109 countries and is now in its 17th year. The Index has found a strong direct correlation between investment flows and transparency levels as data quality through technology as an enabler, governance and regulatory reforms, are all essential parameters that investors are evaluating when looking at potential investment avenues.